Welcome to December, folks. We’re still coming down from our Black Friday highs (Anne’s been playing Assassin’s Creed Liberation on her new Vita while Bill’s been bouncing between Spec-Ops: The Line, Forza Horizon and the Bond 50 Blu-Ray set), yet we still found time to talk about the Omega Mass Effect 3 DLC, Xena: Princess Warrior, Bioshock 2’s Minerva’s Den DLC, Jenn Frank’s “Allow Natural Death“, Swiss Colony petite-fours + Klown, the chemistry between Clooney and A Racist Cartoon Stereotype in Out of Sight and the joys of The Annotated Hobbit. In this week’s geek news: Studio Ghibli’s next 2 films, behind-the-scenes shakeups on Downton Abbey, the success of the #1reasonwhy hashtag, Spike TV’s choices for the Game of The Decade (from their list, we’d have to choose either World of Warcraft or Wii Sports) and the not–entirely-unexpected demise of Bazooka Joe comics. Lastly (at the 2-hour mark, roughly) it’s our spoilercast about Telltale’s fantastic The Walking Dead game. We compare notes on who lived, who died, who ate what snacks and who ate whom. P.S. 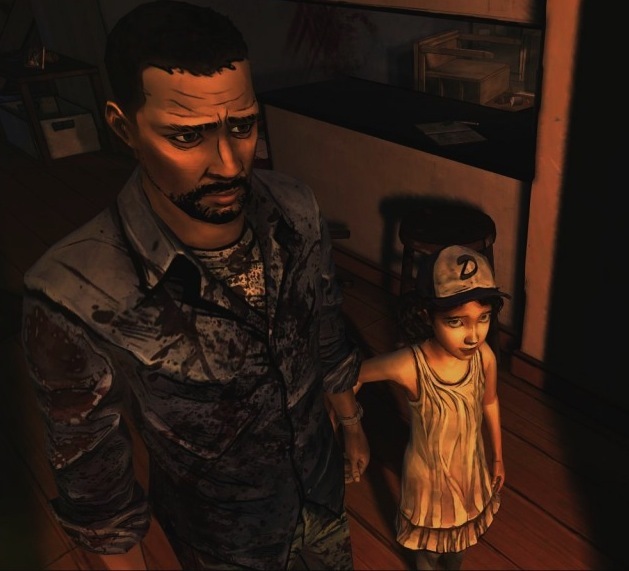 – Anne wants to know what listeners feel are the best uses of licensed music in videogames – like the use of “Take Us Back” at the end of The Walking Dead or Kanye West’s “Power” in Saints Row 3. Hit us up via email or Twitter!